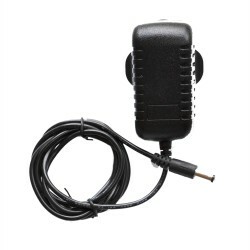 If you only have one pedal to power, then a 9v 800ma centre negative single power supply is the perfect power supply for powering a single guitar effect pedal from JOYO. 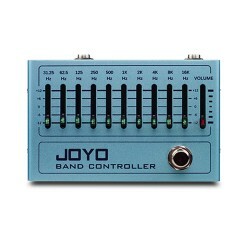 The 9v adapter is also ideal as a single power supply for the JOYO PXL effects controller series. 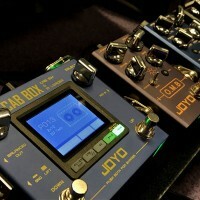 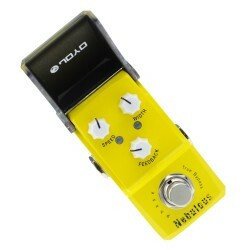 The JOYO JMP-01 portable guitar pedal power supply uses a regulated output power design so the volta.. 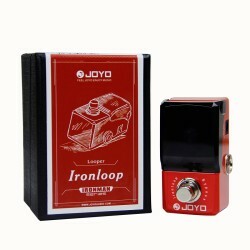 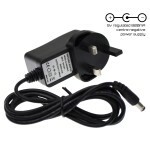 Product InformationJOYO JP-02 Power Supply - 10 filtered outputs each with an isolated short circu.. 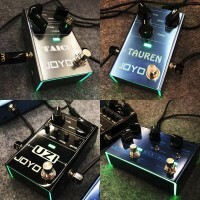 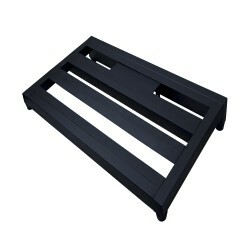 Product InformationJOYO RockDriver series pedal board has a lightweight hollow design, to enable c..
JOYO JP-03 is a new generation power supply designed specifically for powering guitar effects using ..
JOYO CM-26 daisy chain cable can supply power to up to 8 guitar effect pedals. 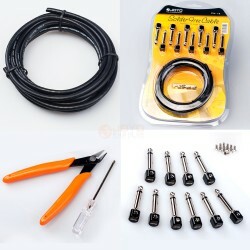 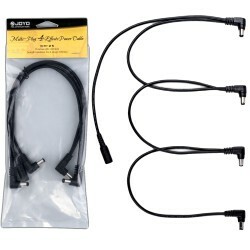 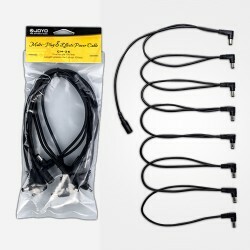 All the DC pl..
CM-24 5 way Daisy Chain right angle jack for Guitar Effect Power SupplyJOYO’s CM24 daisy chain cab.. 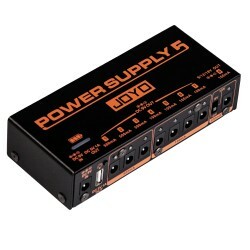 The JOYO JP 05 Power Supply features, 8 DC outputs, 4 x 100ma 9v, 3 x 500ma 9v and 1 switchable to 9..